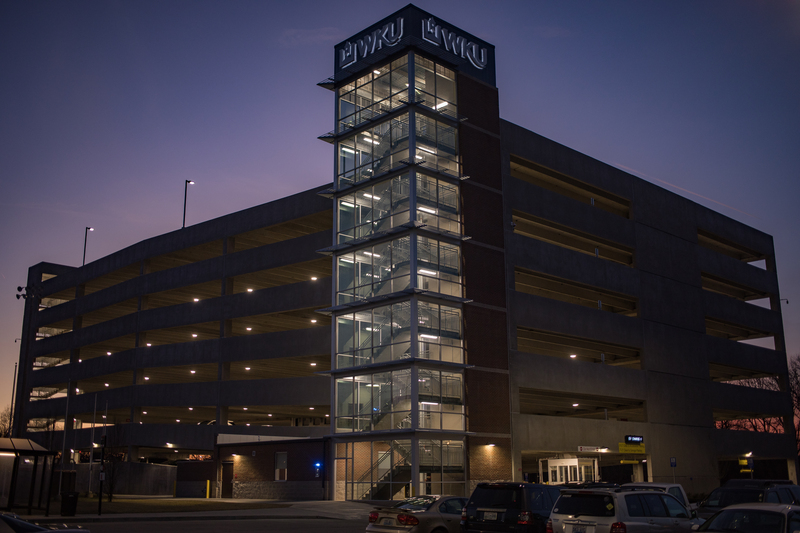 Western Kentucky University’s Parking Structure 3 (PS3) was constructed to add a minimum of 500 parking spaces to an existing parking lot serving residents, commuters, and special events. Because the project was funded with student fees, the garage design had to be simple, efficient, and provide a good value to the students. The site proved to be very challenging due to its location within a floodplain and within a karst region with subsurface caves and a known risk for sink holes. There was little budget for extras. Although the Parksmart certification process added minimally to the project budget (less than 0.5%), it aided the project team in making smart choices not only for design and construction, but also for the long-term operation and maintenance of the garage. The result was an efficient, durable, and sustainable structure. The project incorporated and reconfigured the adjacent campus transit hub to improve pedestrian safety, bus circulation, and traffic flow. This improved the connection to campus and to Bowling Green’s GObg Transit Center for students. 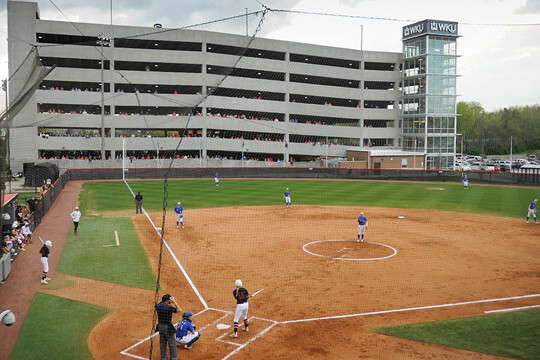 Located adjacent to two sports venues, the parking decks have become viewing platforms for special events. Storm water from the garage enters an on-site vortex purification system and directly enters the local aquifer through the cave below the site. More than 82% of the building materials were extracted or manufactured within 300 miles of the site. 81.6% of the construction waste was recycled including wood, metals, and cardboard. The garage has LED light fixtures and a Lighting Power Density (LPD) of 0.095 Watts/Square foot. 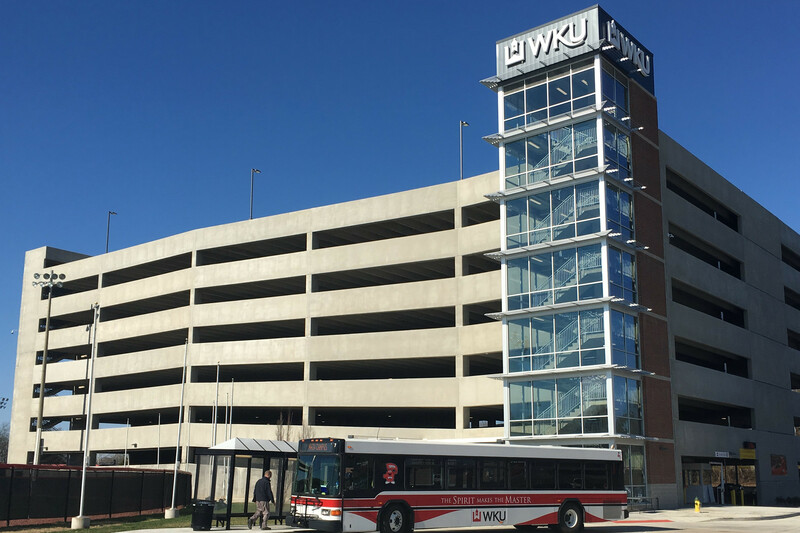 69% of WKU’s parking and transportation fleet are alternative fuel vehicles including biodiesel buses, hybrid vehicles, and electric cars. 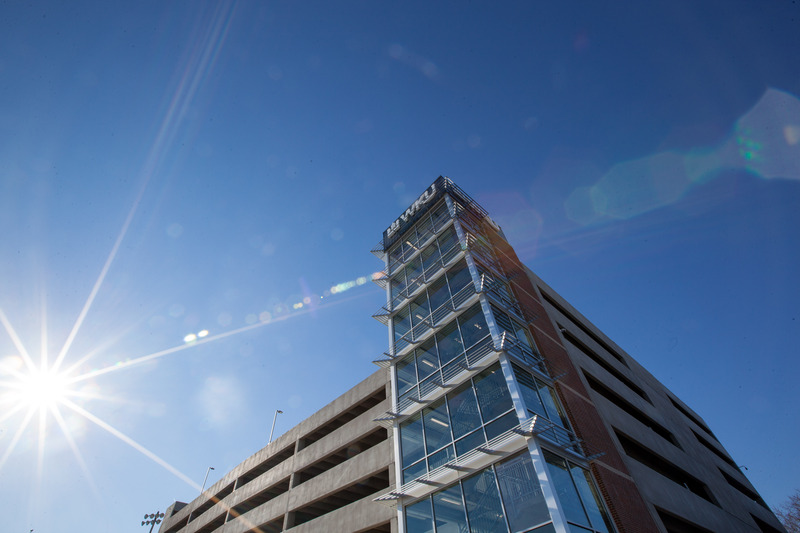 The precast structural system was enhanced with additional durability provisions based on experience from restoration of more than 1,000 parking garages. 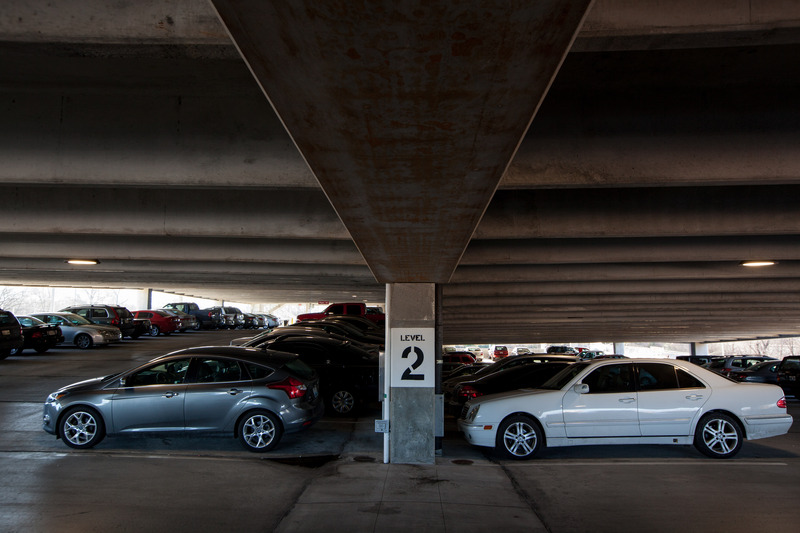 Daily Commuter permit program allows users to reserve parking in the garage for the day. Customers only pay for parking they use, and they know parking is available when they arrive. CarLess Program - a “car-free” incentive program for campus residents to reduce peak parking demand during Fall semester. 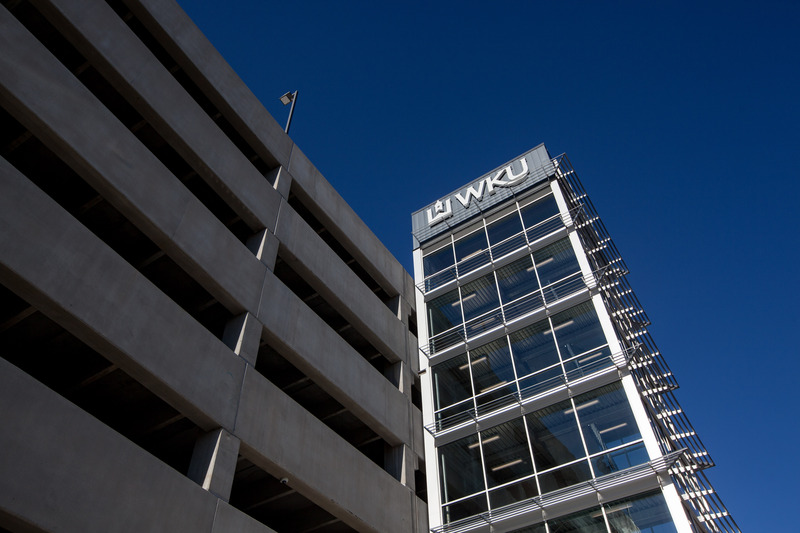 Educational online videos to inform students and patrons about campus parking options at WKU.